You are here: Home / News / Book Release; House – Portrait of a legendary barbershop in the heart of Harlem. Book Release; House – Portrait of a legendary barbershop in the heart of Harlem. 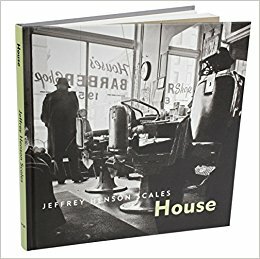 (ThyBlackMan.com) In House, Jeffrey Henson Scales first monograph, vibrant reflections of life, history and masculinity are in the mirrors of House’s barber shop in Harlem. Men of all walks of life congregated here where the traditions of grooming styles and the oral histories were passed from old to young, and then back again. Scales’ photographs made in the latter part of the 20th century present a vital intersection of the cultural fabric of African Americans, and the history of Harlem. Scales’ photographs immortalize an African-American institution in the African-American neighborhood of Harlem, but it also makes the black experience an American experience. The people in these photographs are African-American, but the message that comes across is of common ground. Jeffrey Henson Scales spent more than 40 years as a freelance documentary and commercial photographer – those photographs have been exhibited at museums throughout the United States and Europe. He is the recipient of numerous awards including a New York Foundation for the Arts Fellowship and a National Endowment for the Arts exhibition grant. His photographs have appeared in numerous photography magazines, books, and anthologies, as well as in the permanent collections of The Museum of Modern Art, NY, The George Eastman House, The Museum of Fine Arts, Houston, and The Baltimore Museum of Art. His one-person exhibition, “Pictures From America by Jeffrey Henson Scales,” sponsored by The Visual Studies Workshop in Rochester, NY, traveled to museums throughout the United States from 1996 to 2001. Purchase the book on Amazon: House – Portrait of a legendary barbershop in the heart of Harlem.